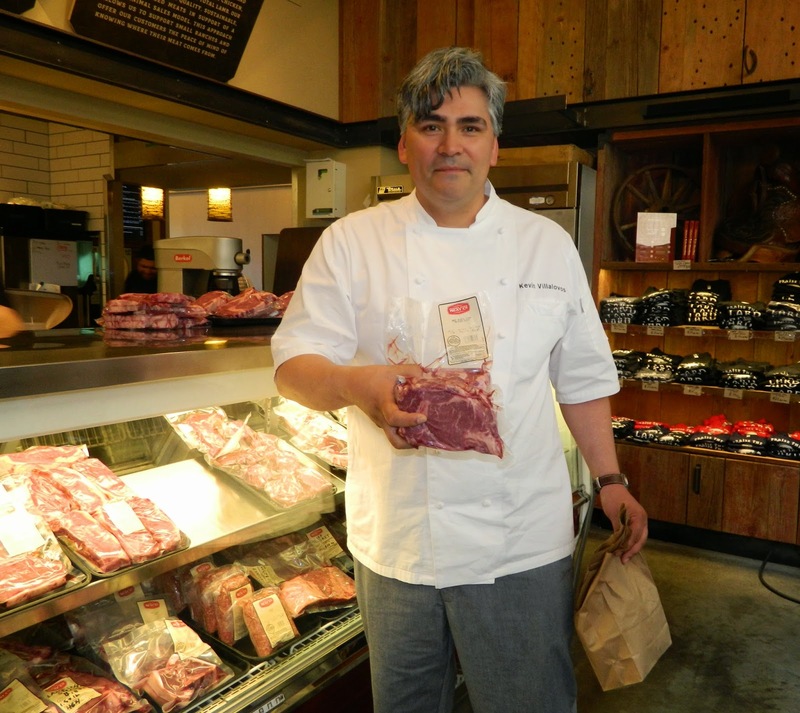 While staying at the Grand Hyatt San Francisco, we spent a morning with Chef Kevin Villalovos, the Executive Chef of the hotel. 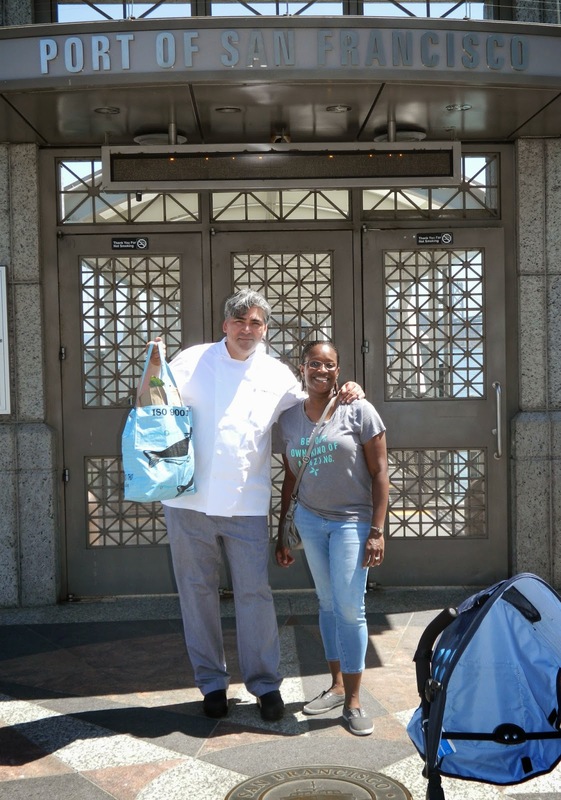 He took us to the Ferry Building, a huge old building that is a dream for real foodies. Here you can find farm fresh markets and cheese shops, amid gourmet ice cream shops and restaurants. I had a wonderful time strolling through the building, learning from the Chef and checking out all the fresh meats, seafood and produce. We shopped for fresh ingredients to incorporate into a special dinner at the hotel's One Up Restaurant that evening. That evening, we were treated to an incredible 8 course meal, made just for us! The One Up restaurant has an open kitchen, and we got to watch Chef Villalovos prepare the dishes right in front of us. I couldn't believe we made it through eight courses, but the food was so delicious, we just kept eating! Scallion-wrapped Seared Scallops, Sea Beans and Purple Cauliflower - my favorite dish of the evening, and so pretty to look at! Rib Eye Steak, Mushrooms, Fresh Peas and Carrot Puree - hubby's favorite dish! Thank you Chef Villalovos for a wonderful time!